What Would You Get Through the VIP level? 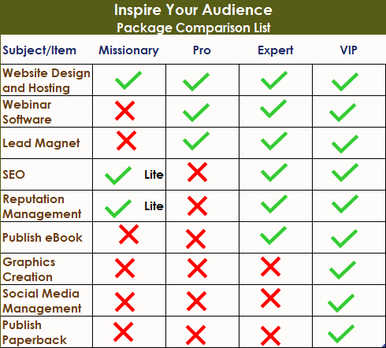 This is our top package for speakers who are serious about getting speaking engagements and building their platform. If you're serious about speaking to audiences, this is the package for you.